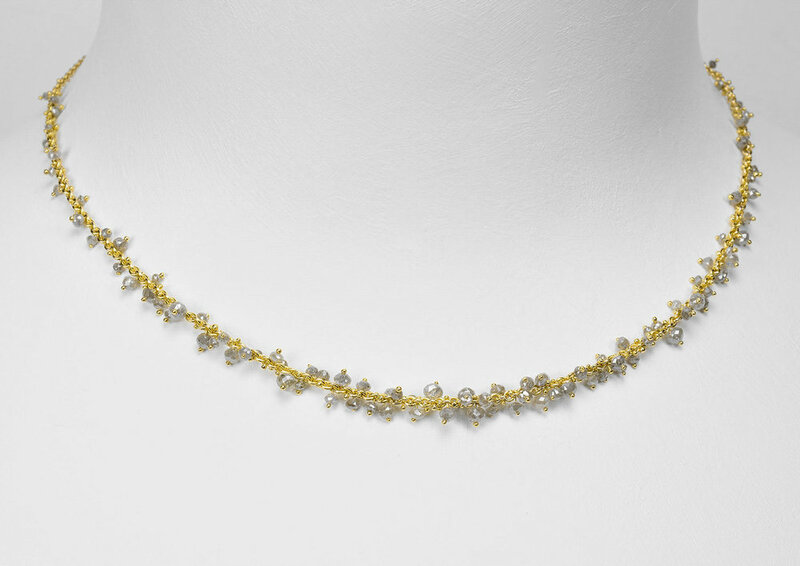 The diamond drop necklaces were inspired by a single spider line in my shower where, in the morning sunlight, water formed on the delicate thread, like drops of dew being rearranged into lines of jazz, irregular and mesmerizing. I just had to turn it into a necklace. My love for ancient jewelry and nature inspired this collection. All the elements are hand made in the studio and each diamond is bezel set with a unique texture. 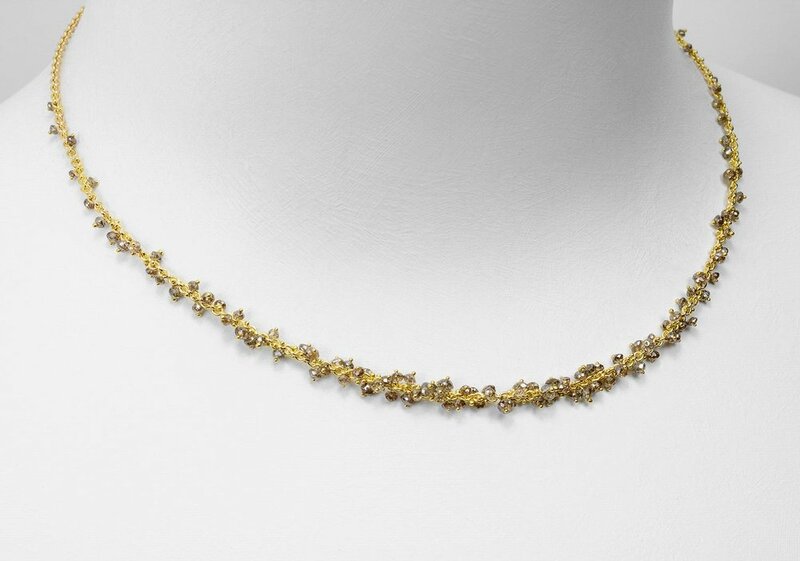 The 18ky alloy used has been recycled and has a rich deep gold color and all the diamonds are finely cut and ethically sourced. I live in a rain forest, where even in the summer the fog condenses and drops of water drip down my rain chains. One day I just happened to look up when the sun was shining at the perfect angle, and what I saw I had to turn into something I could wear. 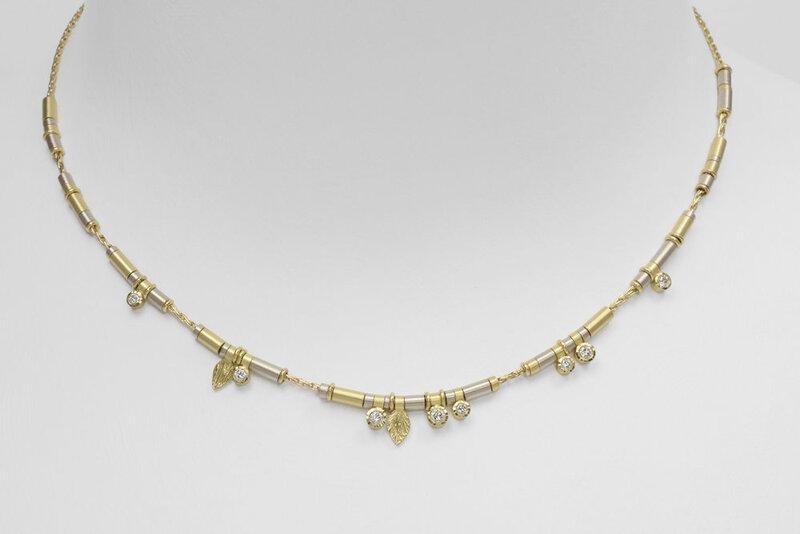 The diamonds are attached by threading an 18ky gold wire through the chain and then carefully welded, before and after each bead. Beads and flats are my interpretation of a seaweed that washes up on the beaches here in northern California. It’s long and thin with small round leaves, similar to my corokia plant. 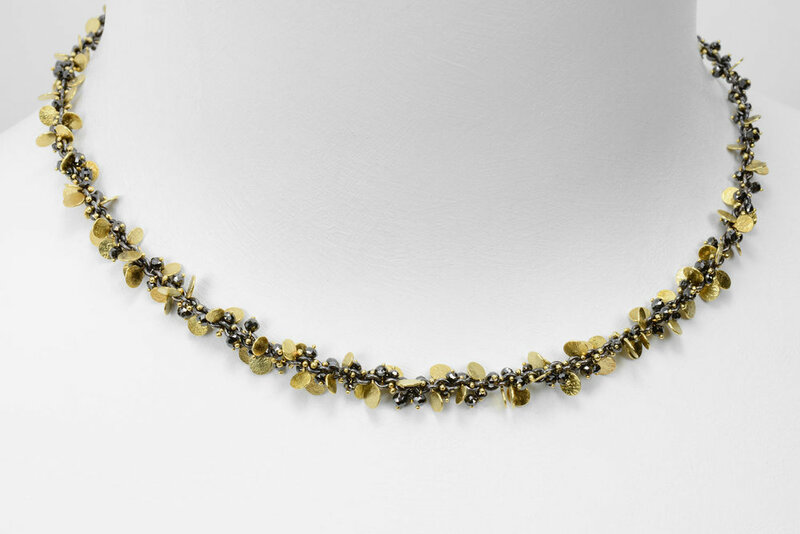 The diamond beads add a scintillating sparkle. The flats are wires that are balled up on the ends and then forged with a textured hammer, which gives them a rustic shimmer. 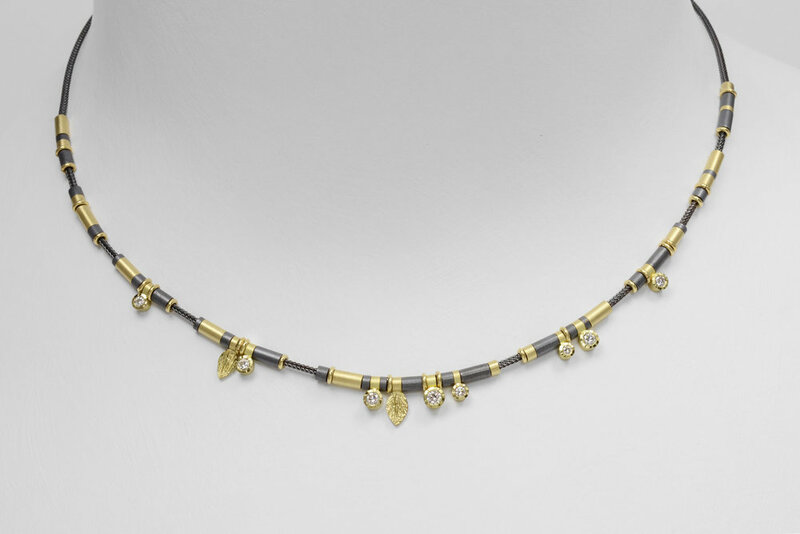 The wires are then threaded through the chain links, as are the diamond beads, and both are secured using a welder.